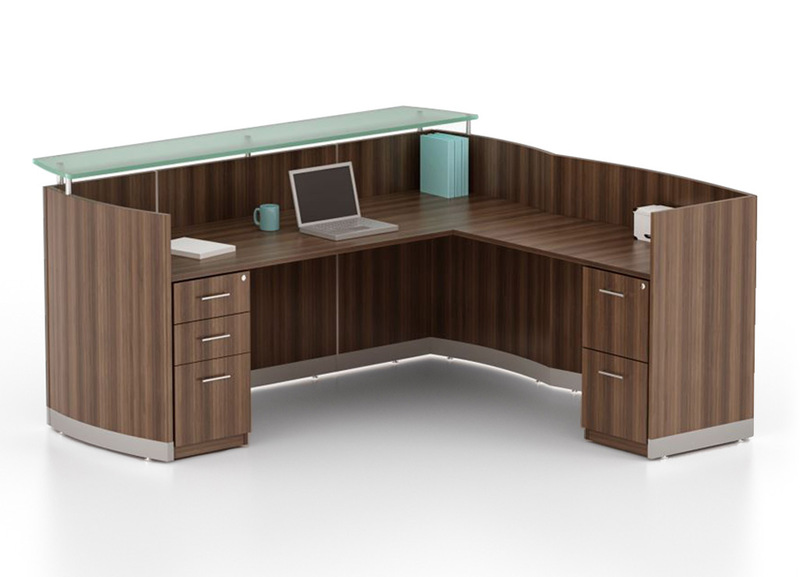 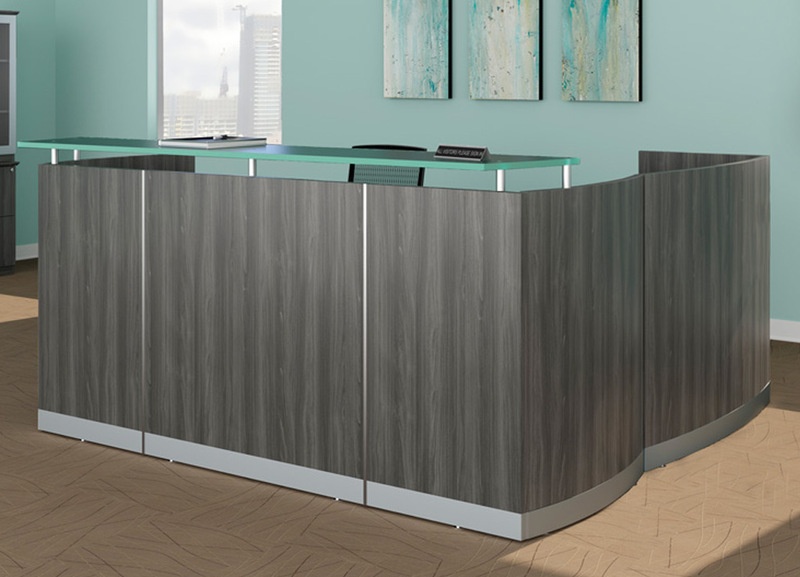 Looking for a modern reception desk that reflects Italian design influences? 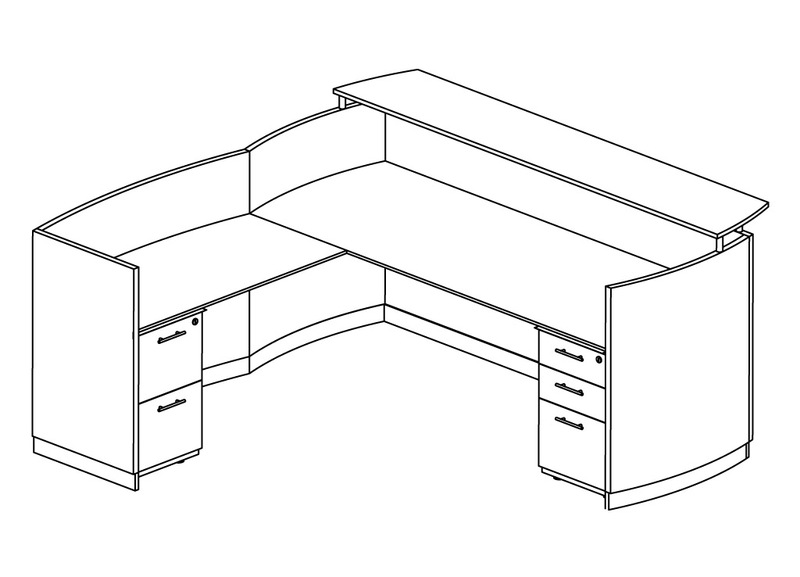 This Medina contemporary reception desk will match perfectly with your aspirations for aesthetic and functionality. 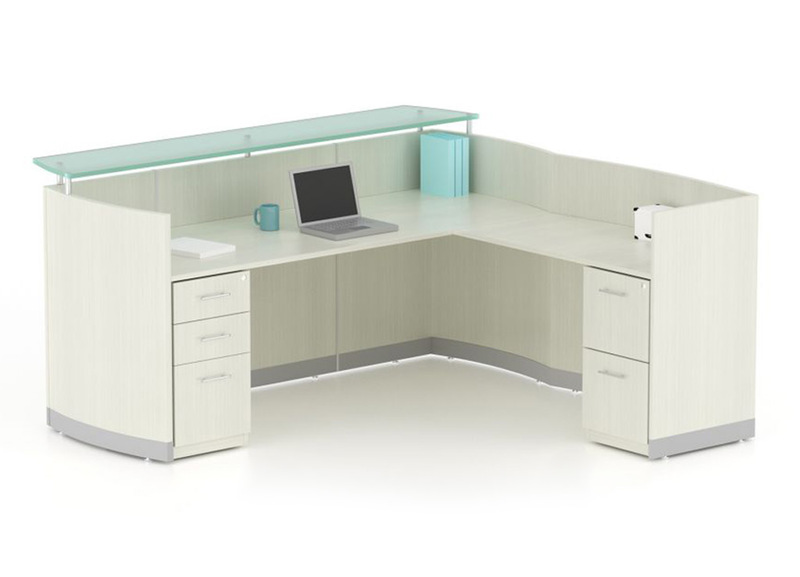 Special Features:Universal return, Box/Box/File and File/File pedestals, Frosted glass transaction counter.